Every business owner aspires to expand their business. Those who dream to take their business to the international scene can get a chance to do so at the Singapore Trade Connect on November 14, 2018. By joining the Singapore Trade Connect - Cross Border Trade and Learning MeetUp Raffle Promo, a business owner can be one of the 25 entrepreneurs who can explore cross border business opportunities, learn from international experts, and connect with entrepreneurs abroad. All 25 winners will receive round-trip airfare tickets and a three-night hotel stay from UnionBank GlobalLinker, UnionBank of the Philippines' free digital platform for micro, small, and medium enterprises (MSMEs). ● Sign up on the platform with the following details: full name, email address, mobile number, company name, and company designation. ● Register to join the promo by providing their name, mailing address, province, and city. The user will receive a confirmation email if registration to the promo is successful. ● Earn entries by accomplishing any activity inside the platform such as sending invites and publishing posts, participating in discussions, availing offers or engaging in articles. Users can also earn additional entries by giving likes and comments, availing a deal under Biz offers, and building e-commerce sites using the platform's LINKER.store feature. After the raffle period on October 30, 11:59 p.m., 25 unique users will be selected as raffle winners. At the Trade Connect event, they will learn from business leaders and owners who digitized their business to success. They will also establish connections and start business opportunities with entrepreneurs from Singapore and India. Together, participants will exchange ideas on elevating business practices to global standards. 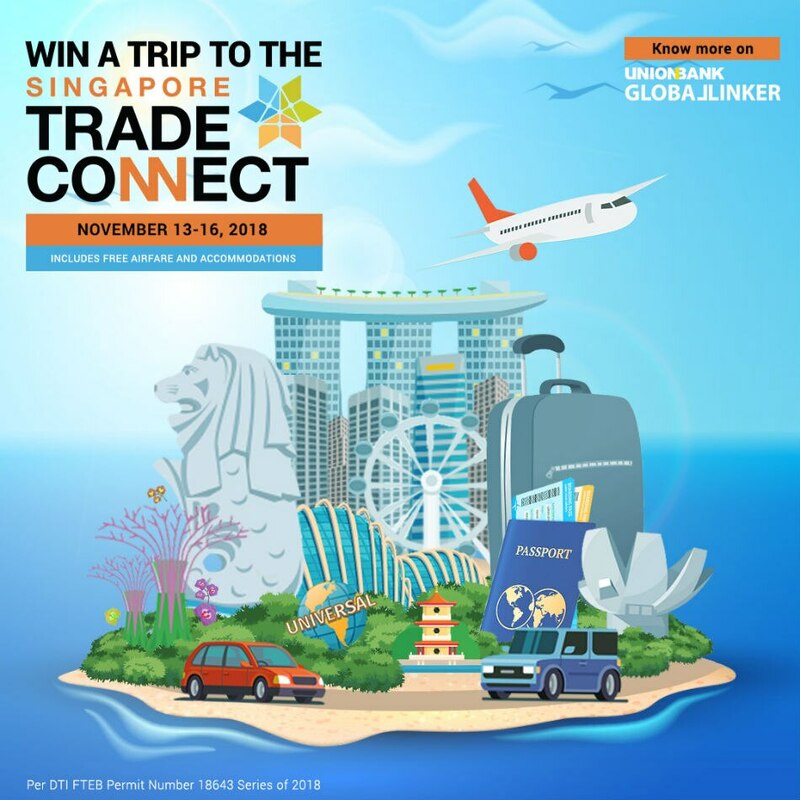 According to UnionBank Vice President and UnionBankGlobalLinker Lead Proponent Dino Velasco, Singapore Trade Connect opens up more opportunities that the platform presents: growing a robust business network and having access to business solutions for increased productivity and profitability. "Every MSME owner dreams of going big and in an increasingly digital world, it is important that they are equipped with the expertise and tools to succeed. We make it possible through UnionBankGlobalLinker, where they find a community of entrepreneurs who help each other grow," Velasco said. "Through this shared learning and networking experience, we hope that they can further create new milestones with the use of the platform," he added. For more information, log on to the TradeConnect website or download the UnionBank GlobalLinker app on App Store and PlayStore.